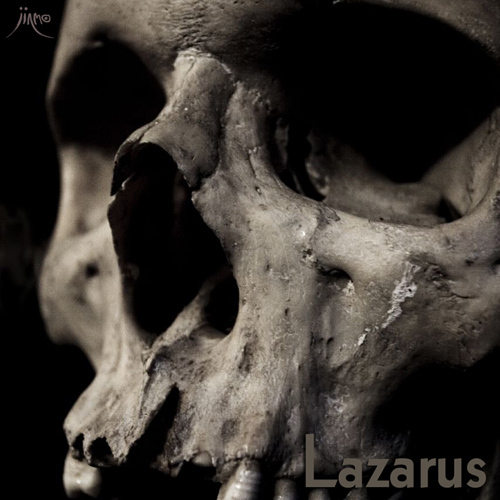 The genealogy of death-ambient music which continued from JINMO's album "Ocean (Tokuma Japan 1992)"
and "The Sarcomusick (Avant-attaque 2007)" featured the theme of this man "Lazarus" at last. in a coffin, was forced to 200 years of pain. However, I believe that Lazarus phenomenon can be caused in art. Art is just waiting for the loud voice." Passed, and this work finished the production period of seven years from 2000. The sound of the use musical instrument is processed very much. It is already meaningless to ask him a question what musical instrument is used. as a monologue of this man Lazarus.